Lady Bird, written and directed by Greta Gerwig is a beautiful film about tender and turbulent ties that bind mothers and daughters. 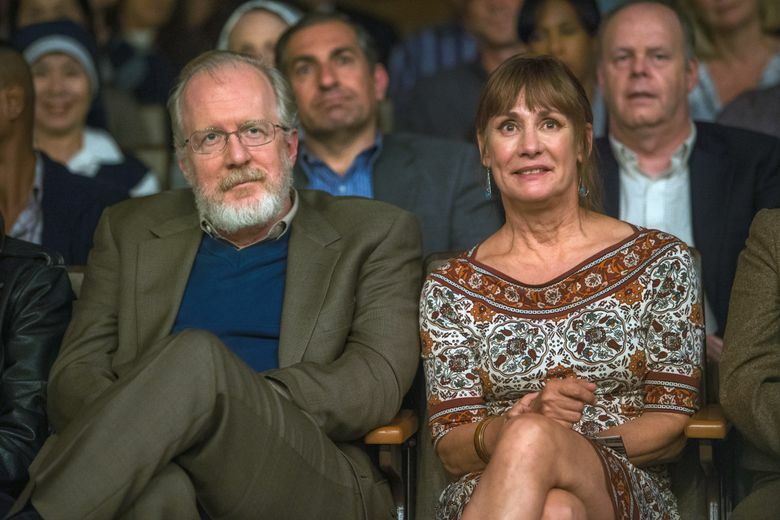 Marion McPherson (Laurie Metcalf) is a working woman, relentlessly focused on keeping her family afloat after the loss of her husband’s (Tracy Letts) job. She is also annoyingly controlling, deeply opinionated, and committedly compassionate. Qualities that we can live with and even find charming in other people’s mothers, are not necessarily so charming in our own mothers, and certainly not during the turbulent teen years, marked by hormones and rebellion, boyfriends and temptations. Saoirse Ronan is brilliant in the role of Marion’s daughter, Christine “Lady Bird” McPherson” (I am a devoted fan now). It is heart wrenching when she tells her nagging mother, “I am sorry I am not perfect”. Lady Bird is not happy with the idea of going to college in Sacramento, close to her family’s home. Her eyes are set on New York. “I want to go where culture is”, she says. But her mother prefers that Lady Bird stay closer and go to in-state school and get a break on tuition. It falls on Lady Bird’s father to play a go-between in the conflicts of his wife and daughter. He is intuitively aware that even when daughters stray far physically or emotionally from their roots, they always come back and he assures Marion “she’ll be back, she’ll come back”. Lady Bird keenly observes her town and surroundings, and approaches what she sees with a fresh perspective. Her principal congratulates her for writing a beautiful essay on Sacramento and opines that what comes through from the essay is her love for Sacramento. Lady Bird casually responds, “I just pay attention” and the principal says paying attention is in fact, a measure of love. It is only when Lady Bird goes far from her home that she gets an epiphany that it was her mother, who paid the most attention to her needs and milestones. This is a beautiful film that focuses on subtle mother daughter conflicts and manages to avoid being overly dramatic. On a scale of 1 to 5 with 5 being excellent, I rate the film as 4.6. This entry was posted on December 19, 2017, 9:58 am and is filed under Movie Reviews. You can follow any responses to this entry through RSS 2.0. You can leave a response, or trackback from your own site. I have heard it’s good and hope to see it. Thank you for the review.